Bolton established Michael Bolton Charities in 1993 to assist women and children at risk from poverty and abuse. In 2003, he lobbied on behalf of the National Coalition Against Domestic Violence. Bolton is the National Chairman for This Close To Cancer Research and Prevent Child Abuse America, and on the boards of the National Mentoring Partnership and the Joe DiMaggio Children’s Hospital. He is also the honorary chariman of Prevent Child Abuse America. Bolton has received many awards for his charity work, including the Lewis Hine Award from the National Child Labor Committee, the Martin Luther King Award from the Congress of Racial Equality, and the Ellis Island Medal of Honor from the National Ethnic Coalition of Organizations. In March 2008, Bolton posed with his wife Nicollette Sheridan for a London Fog charity campaign to raise awareness for the Hole in the Wall Gang. The Michael Bolton Charities, Inc. was founded in 1993 and is based in Bolton’s home state of Connecticut. The major focus of The MBC is the critical issue of violence against women. Since its inception, The MBC has dispersed close to $6 million in grants to various organizations that support children and women at risk of poverty, abuse, neglect, homelessness and domestic violence. 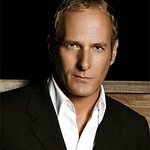 The mission of The Michael Bolton Charities, Inc. is dedicated to two critical areas: (1) The assistance of children and women “at risk;” and, (2) Through education and effective programs, create social awareness to broaden horizons and expand opportunities for youth across socioeconomic and multicultural lines. The major focus of The Michael Bolton Charities is in the area of violence against women. Five years ago, Michael joined forces with coalitions of women’s groups and members of Congress to pass the Violence Against Women Act (VAWA). Michael, personally, has continued to devote his time to draw attention to the domestic violence epidemic and to enlist other men to raise their voices for zero tolerance on the issue. He has directed his foundation to do whatever possible to secure continued and additional funding to keep shelters open, educational programs functioning, and children and women safe. Google trends for "Michael Bolton"
We don't have any videos related to Michael Bolton.